Sterling silver expandable ring with 9mm pad, size 9 and up. 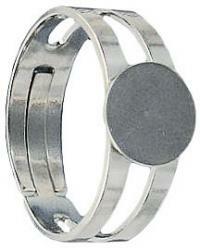 Frabels Inc.
Sterling silver expandable ring with 9mm pad, size 9 and up. (SKU# FR4C9MM/SSRH). Sold individually.